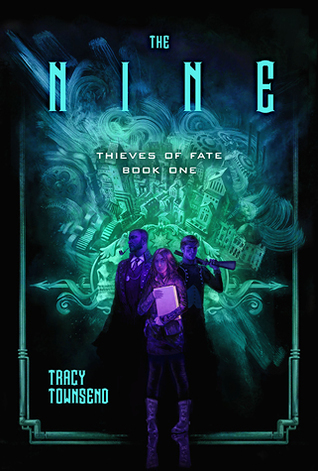 The first book in the fantasy series Thieves of Fate. 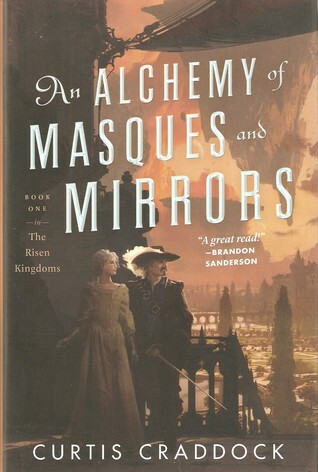 This isn’t the ordinary fantasy world set in pseudo Medieval or Renaissance setting. It’s got two other sentient races but it’s far more technologically advanced than usual fantasy worlds. Most people use guns, not swords. All sorts of mechanical contraptions are become more frequent, at least for the wealthier people. But what really sets this world apart is its religious philosophy. The Theosophy declares that God and Reason are one. Science and religion are one. God is a scientist, and some believe that life is an experiment. The Reverend Doctors are scientists. There’s no magic as such and the book has only one magical element. This is a very dark world. Poor people are living on the streets and if you take a loan and can’t pay it, you’re thrown into prison and most likely die there. If you have enough money or right connections, you can do any crime you want. The police are corrupt. Some reviews said the world is Dickensian and that’s a good description. The story has a lot of POV characters and some of them just disappear before the end. One of those was my favorite character and while I really enjoyed the beginning of the story, I was less enthusiastic with the ending. I found the characters sufficient different from each other that I had no problems following who was who. Rowena Downshire is thirteen and working as a messenger girl for Ivor who handles both legal and illegal post. Ivor’s got a nasty temper and he feeds and pays the kids who works for him as little as possible. Rowena’s mother is in debtors’ prison and she’s trying to earn enough for both keeping fees and for buying her out. When Ivor’s best messenger girl goes missing, Rowena is sent in her place to Reverend Chalmers’ home with important letters. After receiving the letters, Chalmers sends her to the notorious Alchemist. Unfortunately, a lot of people want the book Rowena is now carrying and she’s robbed of the book. Rare is a thief. She’s been a thief for most of her young life. While she’s been with her master (and lover) at the start of her career, she’s more independent now. She gets some (or most/all?) of her info from her lover Anselm and uses for her own gain. She’s pretty ruthless and when she gets wind of a prize that many people want, she thinks that she can get it first and sell it to the highest bidder. Anselm Meteron is a retired thief and now owns several legal places in the city. Rare is his primary mistress and while she infuriates her, he’s very fond of her. When the chief inspector of the city, who is in Anselm’s payroll, comes over and acts strangely, Anselm realizes something is wrong. Reverend Doctor Phillip Chalmers is doing important and controversial work with a book that he thinks will change the dominant religion in the world. He’s also nervous because he knows that not everyone will be pleased with that. When the delivery girl finally brings the letters from his partner, he panics and sends the book to the Alchemist. Just in time, because he’s attacked and imprisoned. Bess is Ivor’s former delivery girl. Now, she’s a courtesan for smallduke Regenzi and he’s young and handsome and doesn’t want anything too difficult. She’s happy to be in a place which feels much safer to her. However, when Regenzi goes to buy something from the Alchemist, that mysterious old man warns Bess that her companion is far more dangerous than she could have guessed. These are just the POV characters at start of the book. A couple of more are added later. The two other sentient races in this world are quite clearly not human. The aigamuxa (aiga) are very strong and they’ve been used as slaves before. Their eyes are on their heels and their heads are eyeless. They usually travel by swinging from trees, like apes. The lanyani are tree-like creatures which are used as servants by some richer people. We don’t get much info about the lanyani but the aiga don’t care for humans. However, the human nations have trampled their habitats so some of them no choice but to live in cities. They can be aggressive and use brute strength in combat. While I love weird creatures (Barsoom’s kaldane and rykors! ), I’m afraid the aigas’ lack of sight made them some what ridiculous as a credible threat. The story has lots of mysteries and some are left for the rest of the series. I liked the beginning and the atmosphere of the book a lot. Most of the characters are also interesting, but my favorite character disappears too quickly. Many fantasy books shy away from religion, so it was interesting to see it explored at length here. And I loved the revelations about Anselm and the Alchemist so I won’t spoil them here. Still, the ending was a bit too predictable and I couldn’t take the aiga as a threat. Almost every time I kept wondering how can they see to do that. It seems to me that they must have some other way to either see or sense their surroundings pretty well. Still, I enjoyed the book and intend to pick up the next in the series. I won this book from Books, Bones, and Buffy blog some months back. 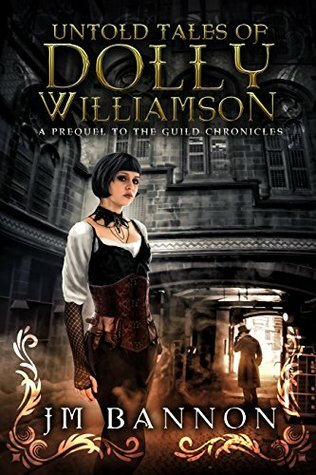 The prequel book to a steampunk fantasy series the Guild Chronicles. Frederick “Dolly” Williamson is a detective at Scotland Yard, in Victorian London. When sir Francis Chilton, one of the senior partners in a highly influential bank, is found dried to a husk in his own house, Dolly is sent to investigate. He calls in Rose Caldwell, a former nun who has lots of skills and knowledge of the occult. Unfortunately, she’s also considered a witch by the public as well as Dolly’s colleagues and boss. However, Rose’s alchemical devices and magical talent turn out to be invaluable in the occult mystery. Another man is found similarly murdered, and the Home office hoists upon Dolly two French occultists who claim to know who is responsible and want to help in her capture. However, they have their own goals. This story is set in quite a complex world with both steampunk devices and alchemical/magical devices. The occultists have variety of powers, able to take over another person’s mind, project themselves to astral plane, and even use devices to prolong their lives, but with the expense of another’s life essence. Rose can also summon angels to help her. But mostly she constructs and uses various magical devices. Some can see what magical events have happened in the past, others protect against spells. While most people don’t know that magic really works, Dolly has had previous experience with them and knows that magic and magical threats are real. He works as best he can in the ordinary world and in the magical world. However, he’s not keeping the magic a secret nor is anyone expecting him to do so. Most people just don’t believe it. Dolly is a diligent detective and questions, as best he can, the wealthy and influential people affected by this case. While Rose is a former nun, she didn’t quit because she lost faith. Quite the contrary: she was excommunicated because she dared to learn about the magic and use it. She’s very much out of her luck in this story, barely making enough money to rent a small apartment and drinking everything else. She has some quite interesting friends. The cast is quite large. In addition to the people connected directly to the case such as the French Necronist guild members, we meet Chinese gangsters, Haitian Voodoo practitioners, London’s own occultists, and workers’ rights activists. The story has many POV characters, as well, even though Dolly and Rose are the main characters. A few characters aren’t directly related to the case, so I presume they play a large role in the series and so are introduced to us already. While the main mystery is solved, this is obviously the first in series book. The ending opens up a couple of plot threads for the series. 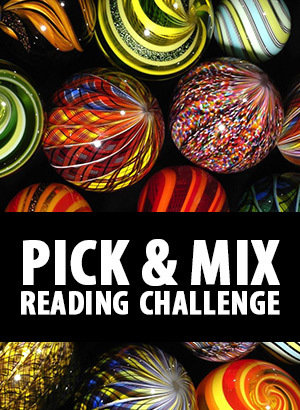 This was an interesting read and a very imaginative setting. Rose was definitely my favorite character and the most distinct one, except for the murderer. I also really enjoyed the idea of the French necronists guild and that was expanded well near the end. However, the book had a lot of minor errors with spelling, dialog tags, and more. The first book in an alternate reality noir mystery series. In an alternate USA, four big families rule the city of Bridges. The city has been divided into four quadrants, each ruled by one family, and it’s very difficult to move from one quadrant to the other. The families are Spadros, Clubb, Hart, and Diamond. Jacqueline was born in a whore house to the madam. She was also a member of a kid gang. When she was twelve her best friend, Air, was shot and she still has nightmares about it. She grew up not knowing who her father was, until one day he appeared. He had made a deal with the Spadros. Jacq was to be the bride of the Spadros heir. Despite being a “Pot rag”, as the very poorest are called, she was trained to be a lady and married Tony Spadros. Except that Jacq loved someone else and never saw him again after she was promised to Spadros. 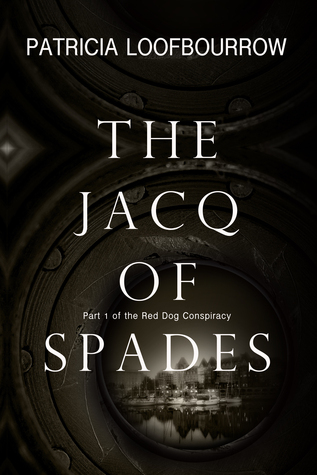 Roy Spadros, the head of the family, is a ruthless, cruel man who delights in torture and beating his wife. But Tony is different. He’s still a man who has spent his whole life in luxury, wanting for nothing. But he’s usually not cruel, only when it serves a purpose. He orders men killed when that’s required but not tortured. And he loves Jacq. Jacq has learned to pretend love but has never forgotten her only love, Joe. She also knows that if something would happen to Tony, she would be thrown back to the streets. So, in secret from Tony she has her own business as an investigator. It doesn’t make much money but she saves what she can. The story starts when a woman calls Jacq for help. The woman is Air’s mother. Her youngest son is missing and nearby is the mark of the Red Dog Gang. Jacq refuses to help at first but the case won’t leave her alone: she can’t allow the little boy to just vanish. When the little boy’s older brother is found strangled in another quadrant, Jacq knows that she must investigate. But she has troubles of her own: she must support Tony or someone could murder him. She must keep her investigations a secret from him because it would ruin their delicate relationship. She must also keep her investigations a secret from everyone else who could ruin her life. Jacq has a lot of contacts around the Spadros area, some of whom know who she is and others don’t. She uses a lot of disguises and lies. The story has a lot of characters, as well. Jacq herself is a tough and determined woman but she’s in a very vulnerable position and she also has hard time letting of the past, her childhood friend’s death and her first love. So, she’s also a vulnerable character. The story is told from Jacq’s first person POV. Since she was born poor and then rose to the elite (although unwillingly) she has a different perspective than many of the other wealthy people. The story touches on the disenfranchisement of the poor, class struggles, and women’s rights, which are, sadly, still ongoing issues today. The start of the story dropped us readers right in the middle of the story. Explanations came later mostly through Jacq’s thoughts. For the most part, this worked well and I enjoyed the story. Jacq is a very interesting character and her dilemma drew me in. 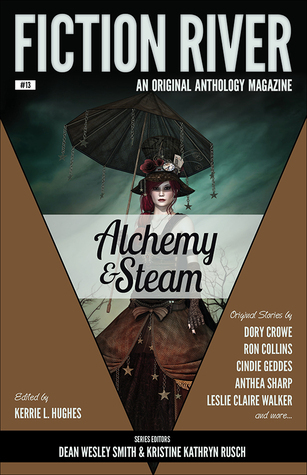 The book is labeled as steampunk but there are very few steampunk elements in the story. At the end, the current case is resolved (kind of) but the larger mysteries remain. We also get a timeline of this alternate history and a list of characters at the end. The first book in the Risen Kingdoms fantasy series. Jean-Claude is a young, loyal musketeer to the king of l’Empire Céleste, Leon XIV, and the king has commanded Jean-Claude to go and witness the birth of a noble child. Jean-Claude has never been comfortable in sky ships but when the king commands, his musketeer spends six weeks on a sky ship. Even when the child will be born to the comte and comtess des Zephyrs who are evil people by any standard. After a terrible journey, Jean-Claude arrives just in time for the birth. But things go wrong because instead of a son the comte hopes for, the child is a girl and her left hand is malformed. Only Jean-Claude’s quick thinking saves the girl from a quick death because the Temple says that all malformed children are evil and should die at birth. The king orders Jean-Claude to stay with the girl, Isabelle. She grows up in the vile household and her father tests her often for any sign of magic. Des Zephyrs are descended from saints and therefore have inborn magical talent for blood magic; as Sanguinare they command their shadows which require blood sacrifice. Unfortunately for Isabelle, she doesn’t seem to have inherited any magic. Her father makes it very clear that she’s a disappointment to him and even goes so far that when she and her best friend Marie are 14, the comte makes Marie into a bloodshadow. Essentially, the young girl’s spirit is dead, but her body still shuffles around, without a will of her own, and the comte can use the girl to spy on Isabelle, or anything happening near Marie. Driven by guilt, Isabelle takes on the duty of caring for Marie who can’t care for herself anymore. Isabelle’s future is uncertain but she’s a smart girl and enjoys studying mathematics and science, including the science of magic. However, women are forbidden to study them, and she must do so in secret. Jean-Claude protects her as much as he can even though he has to pretend to be a wastrel and a drunk. The story really starts when an artifex brings a message that prince Julio of the Kingdom of Aragoth wants to marry Isabelle in order to secure a peace between their two countries. Isabelle’s mother is King Leon’s aunt so she’s part of the royal family and can make such alliances. However, because of her congenitally deformed hand, many people see her as evil and even heretical, so she’s very surprised by the offer. But in the end, she’s eager to escape her father and to see the world and so she agreed. However, she and Jean-Claude quickly realize that she’s in great danger. Not only are the people who want to see someone else married to prince Julio, there are many other factions in play. Julio’s father is dying and the battle for succession is just starting. Isabelle is a very determined and compassionate young woman. She’s loyal to her friends and still takes care of Marie herself because her maids are too scared of the bloodshadow. She’s smart, too, and shows it. Jean-Claude is a middle-aged man who is also showing his age. Still, he adores Isabelle and doesn’t regret essentially losing a lot of years of his life while guarding her when she grew up. This book has a very interesting world with magic and religion. There are two kinds of magic, at least as far as we know: blood magic and mirror magic. Blood magic is used in I’Empire Céleste and mirror magic is used in Aragoth which is traditionally Céleste’s enemy. Mirror magic makes for a great weapon for Isabelle’s enemies because the Glasswalkers can use mirrors to go to different places and escape them. The world-building is very complex but woven well into the story. It has lots of intricate stuff and I think I missed some of them when I listened it as an audiobook so a relisten is in order before the next book. Still, I greatly enjoyed the book, the characters, and the world. The pace is somewhat slow at times (it’s not a thriller!) but never too slow for me. In addition to magic, this world has pistols and gunpowder, men who are half a person and half clockwork creature, airships and floating continents. It all works surprisingly well together! In fact, this is another excellent addition to the “fantasy musketeers” category. 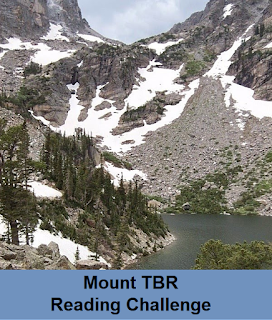 Despite being the first book in a series, it doesn’t end in a cliffhanger and can be read as a stand-alone. 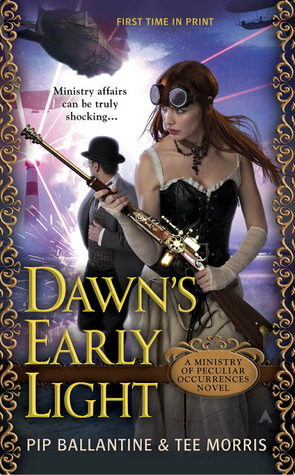 The first book in a planned steampunk series. This short book starts the story of two young women in a country at war. 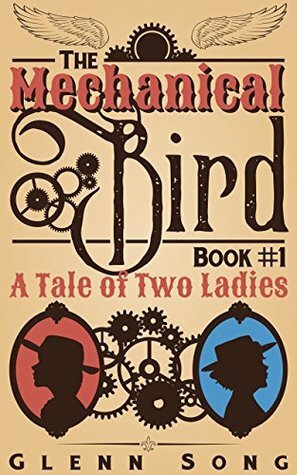 Both women are interested in mechanics but don’t think they can really pursue it for real. But when men are called to war, women get chances they otherwise wouldn’t. Alicia Reynard is a farm girl with a very active imagination and eye for mechanical work. Her father has always encouraged her and even bought some books for her, even though they’re very expensive. She loves to draw and read. When the war against a neighboring country heats up, their small earnings go down and her father has to find another employment. But then the University at the capital calls for female students. It’s very expensive but it might also be the only chance Alicia will have. Lady Elena Singleton was born into a wealthy noble family but she has to keep up with appearances. This means getting married which is she doesn’t want to do. She studies mechanical engineering secretly and thinks that her life will end when she’s forced to marry some bore. However, her grandmother smuggles science books to her and encourages her to dream. When the university calls for female students, Elena’s mother forbids her to go. This is quite a gentle story with little adversity to the women. Alicia is encouraged by everyone around her. Elena’s mother is against Elena’s scientific interest but her grandmother is supportive. I liked the main and the supporting characters. Alicia’s mother goes through a more significant change than Alicia herself. However, we saw Alicia a lot more than Elena. In fact, when we saw Elena in the latter part of the book, through the eyes of someone else, she didn’t seem the same character. The ending is abrupt although I wouldn’t call it a cliff-hanger. There’s no clear ending and we don’t know when the story will continue. The culture feels like a Victorian one where women stay at home and most of the time don’t take part in any business or other public venture. But when men are sent to war, women all over must take over for the men. And nobody objects. This is what I have some trouble with, being a student of history. The whole culture seems to be very practical about it. Only one person in the book objects, and that’s Elena’s mother, and her reasons are “respectability” and “tradition”. But if most people are alright with women working and being able to work just as well as men, why don’t capable women already run their own business (even in Middle Ages, a widow could take over her deceased husband’s business) or work alongside men or demand to be let into university? Historically, women’s work has been discouraged because most people thought women were simply incapable of any intelligent work and/or it’s the natural order etc. Nobody here said anything like that, which seems strange. But I’m curious to see where this story will go.